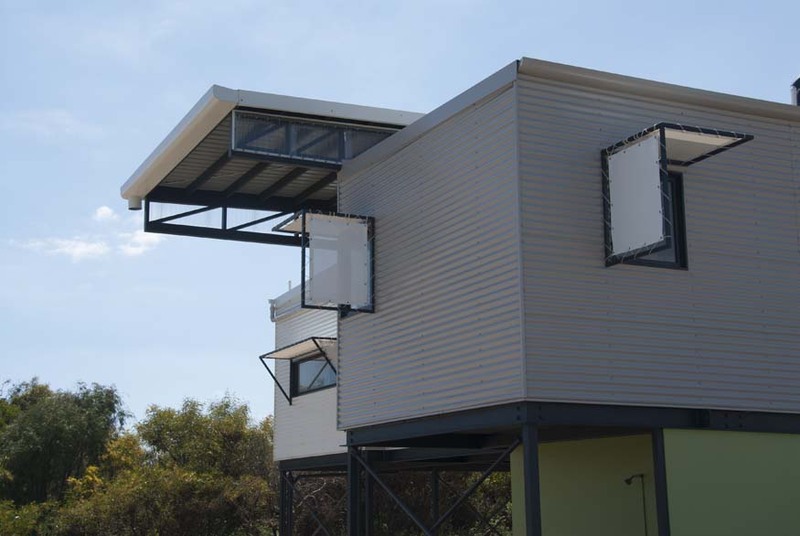 The Peppy Beach holiday house provide a unique, cost effective solution that is quick to install while minimising impact to the site. 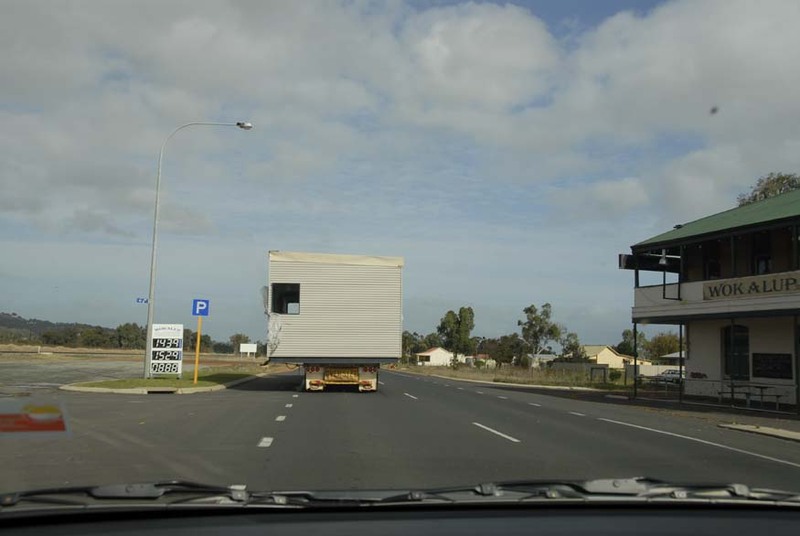 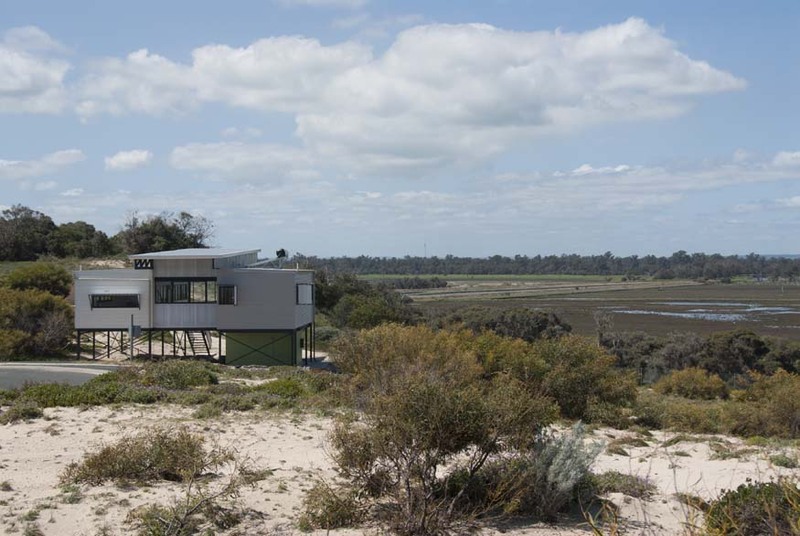 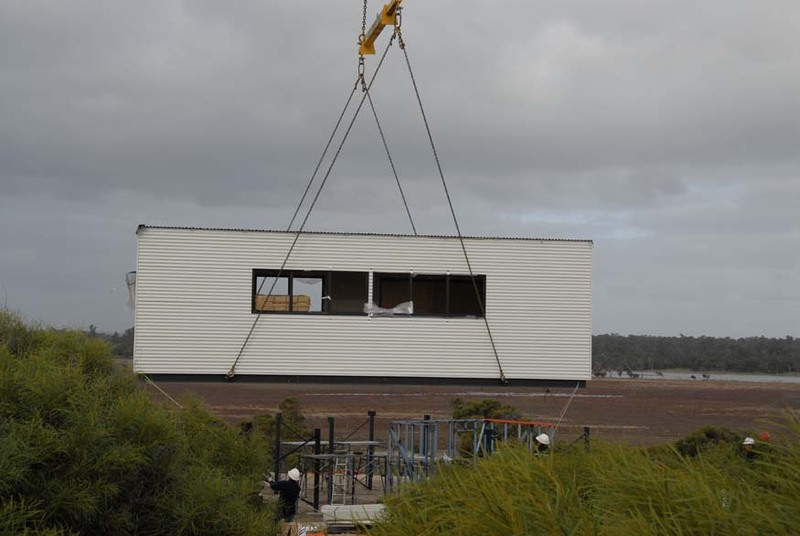 Two modules were pre-fabricated in Pinjarra, transported and craned in to location. 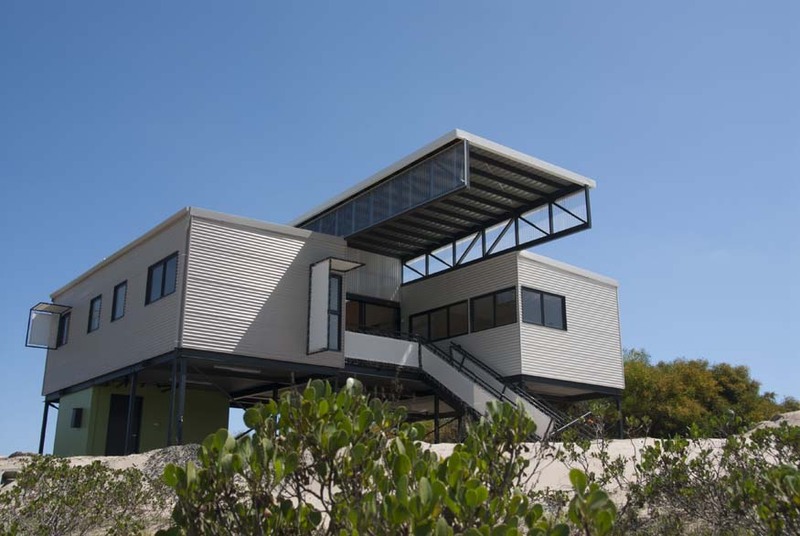 The high-set house solution minimises impact to the site and allows for shaded and protected space, places to shower, relax or park cars. 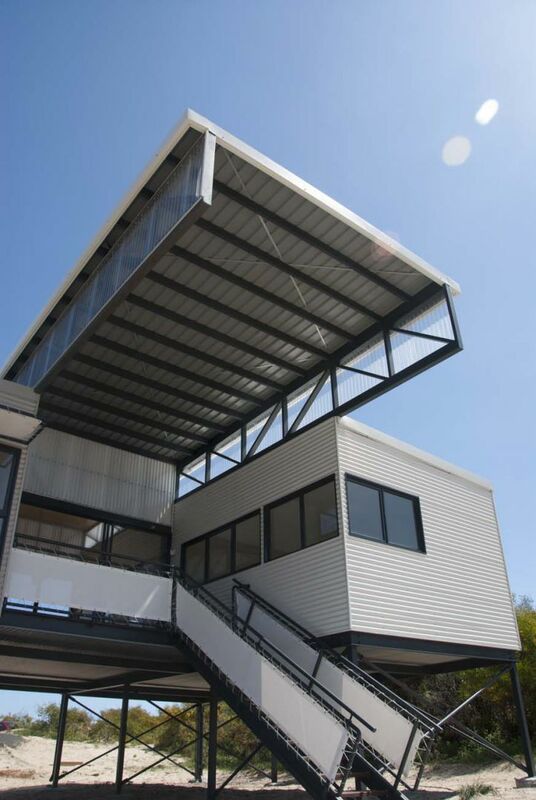 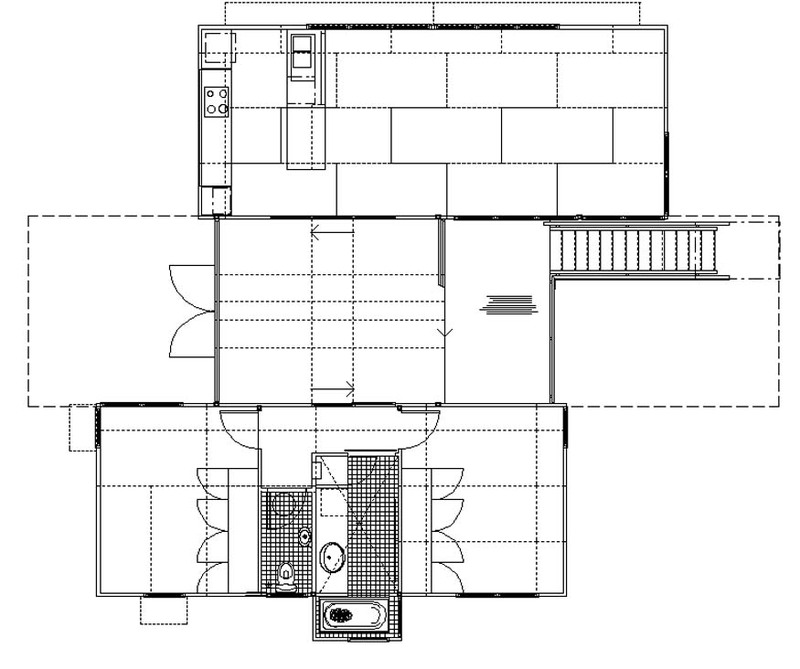 A deck with middle room and stairs were prefabricated as a kit of parts and installed with minimum time. 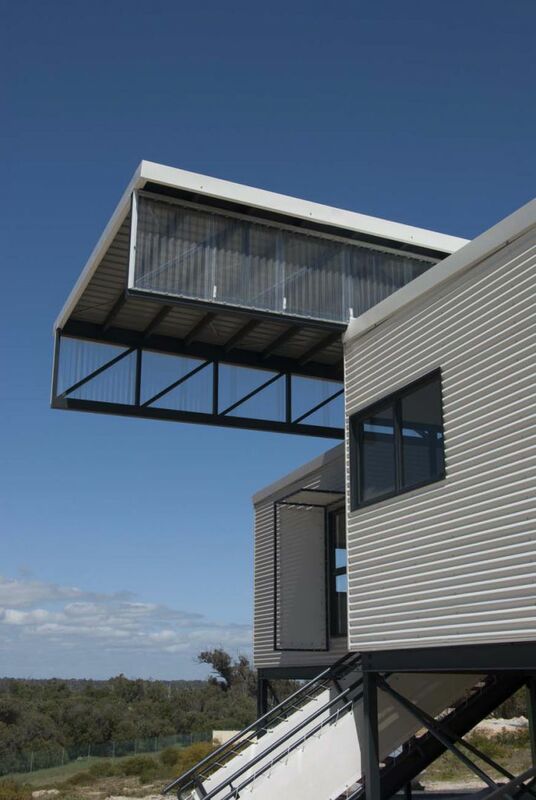 A large cantilevering roof provides protection to the middle zone and an obvious focal point for an otherwise modest house.